Menulog delivers for Kogarah Kebabs so you'll be able to track your courier on a map. Chicken kebab roll, regular chips and 375ml Can of Drink. Falafel kebab roll, regular chips and 375ml Can of Drink. Beef kebab roll, regular chips and 375ml Can of Drink. 4 x Kebab Rolls, 1 x Family Chips and 4 x 375ml Can of Drinks. 2 x Kebab Rolls, 1 x Family Chips and 2 x 375ml Can of Drinks. 1 x Large Meat Pack (4 People), 1 x Family Chips, 1 x Large Rice and choice of 1 x Large Salad. Beef doner, chips, cheese and choice of sauce with 600ml Water or 375ml Can of Drink. Chicken, chips, cheese and choice of sauce with 600ml Water or 375ml Can of Drink. Beef doner and chicken, chips, cheese and choice of sauce with 600ml Water or 375ml Can of Drink. Lamb, chips, cheese and choice of sauce with 600ml Water or 375ml Can of Drink. Falafels, rice, choice of salad and sauce with 600ml Water or 375ml Can of Drink. Beef, rice, choice of salad and sauce with 600ml Water or 375ml Can of Drink. Chicken, rice, choice of salad and sauce with 600ml Water or 375ml Can of Drink. Beef doner and chicken, rice, choice of salad and sauce with 600ml Water or 375ml Can of Drink. 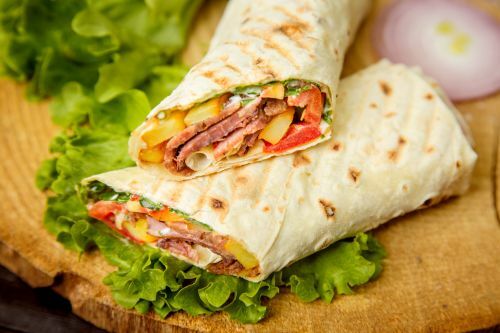 Beef doner roll with choice of salad and sauce. Chicken kebab roll with choice of salad and sauce. Falafel roll with choice of salad and sauce. Chicken, fresh baby spinach, mozzarella, feta and mushroom. Baby spinach, mozzarella and feta. Traditional Turkish sausage, mozzarella and feta cheese. Chicken, mozzarella, feta and mushroom in savoury Turkish pastry. Fresh hot chips with chicken salt.